With the warm weather that has arrived and with the great rains we have had, our little farm is bursting forth with all sorts of greenery……which also includes lots of weeds and biting insects. The garden is taking off and it is very exciting to watch. We have a small garden plot for our size family, but currently it is the only garden spot we have and so we make the best use of it. It gets to be quite the jungle in the summer because we pack it with plants. My Pak Choi (Bok Choy) is bolting or starting to flower. 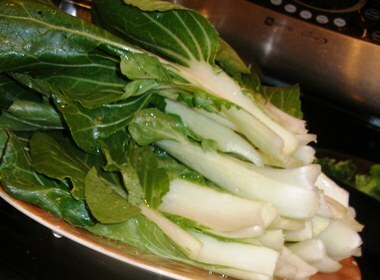 I’m a bit sad about that as I so enjoyed having the abundance of the chinese cabbage this spring. We ate a whole lot of it! I’m looking forward to growing it again once the weather cools off in the fall. My lettuce is also starting to bolt now so we are using it up as much as we can before it goes to seed and turns bitter on us. 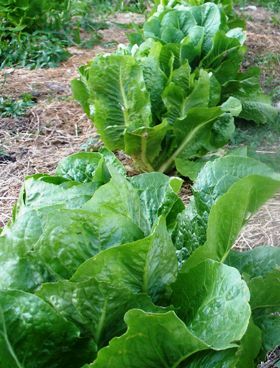 We’ve also greatly enjoyed the endless supply of fresh lettuce. With all the goodness, the weeds in the garden are still abundant. It’s depressing. I hate weeds. 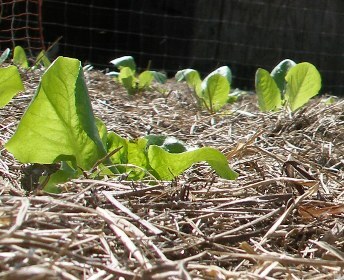 I am using hay mulch to keep the weeds down, however I haven’t had enough hay to make it work just right yet. Hopefully, I will be able to find a good source for hay and save my sanity. Or I could just deal with the fact that weeds are part of gardening, especially when you don’t have an abundance of mulch to keep them down.